Channel delays: DFDS Dover-Calais 16:00 delayed by 60mins due to port movements. Condor Ferries rescheduled services due to technical problem. Weather alerts: Amber alerts for heavy rain north France coast and fog north east Poland coast and Montenegro. Weather: Rain and cloud Central; sunnier South; showers North. Finland. Ill health causes 20% of all traffic accidents according to figures from the National Traffic Police, calling for more intensive monitoring of conditions likely to impair driving ability. Also, a man has been fined £80,000 after being caught driving at 77kph in a 50kph zone. Like in Switzerland, speeding fines are based on the wealth of the driver. Netherlands. Two thirds of local councils earn less than expected from parking with some even loss making. Hengelo for instance will lose €2m this year. The shortfall isn’t just due to the recession but internet shopping too. Expect price rises but also the withdrawal of pay-by-the-minute deals. Latvia. Over 80 drivers have been caught attempting to bribe police officers so far in 2013, a sharp increase on previous years. In the same period of 2011 just 26 people were caught out. The going rate is apparently 20LVL (£24) for speeding, 5LVL for running a red light and 100LVL for drink driving. BNN does not speculate on the reasons for the increase. 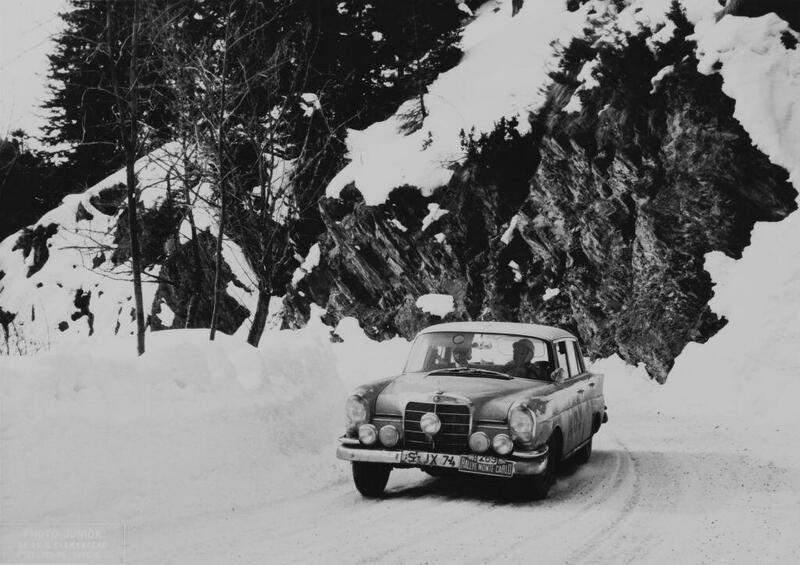 Baroness Ewy Rosqvist and Ursula Worth winning the Ladies’ Cup at the 1963 Monte Carlo Rally in a Mercedes Benz 220SE. This was when the event really was a Rally. Competitors started from one of seven cities – Stockholm, Paris, Glasgow, Lisbon, Frankfurt, Warsaw, Athens – and ‘rallied’ in Monte Carlo. History records there were 341 entries that year, 296 starters and 102 finishers. Rosqvist and Worth came 16th overall. Thirteen crews started from Athens but they were unable to reach Belgrade because of snow. Another Mercedes driver, H.Felder, stopped to help Rosemary Smith and Rosemary Seers who had rolled their Sunbeam Rapier into a ditch “while not wearing seatbelts” but lost so much time he retired too. Patricia Ozanne crashed her Mini Cooper into a lorry on the M1.